A story that follows Wang Lu, a young genius, who enters the Spirit Blade Sect and embarks on an unconventional journey towards immortal cultivation. The Spirit Blade Sect was established in the year 4233. Through years of producing martial arts prodigies, it has been hailed as one of the five great sects. As the nine continents face a crisis, a genius by the name of Wang Lu (Xu Kai) joins the Spirit Blade Sect and comes under the tutelage Wang Wu (Sandrine Pinna). 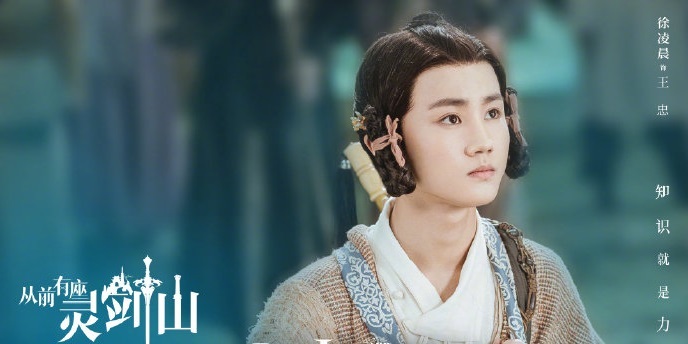 Despite Wang Wu's beauty, she is hundreds of years in age. Famous for having a sharp tongue and an erratic temper, she and her disciple Wang Lu engage in endless squabbles while trudging on a path to becoming the strongest sage in all the lands. Filming took place in Hengdian World Studios and other locations. Filming began on October 5, 2018. It is based on a time travel web novel. The web novel has been adapted into a manhua and an animated movie on Tencent. It was also adapted into an anime titled Reikenzan: Hoshikuzu-tachi no Utage co-produced by Tencent and Studio Deen. Let us know why you like Once Upon A Time There Was A Spirit Blade Mountain in the comments section. Please also share these fun facts using the social media buttons below.